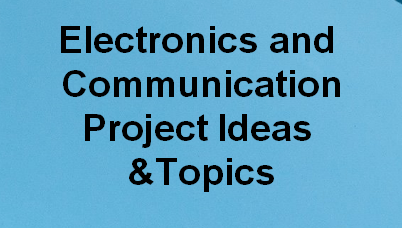 Here you will get full information about best projects for ECE students. As we know final year project is very import for one and all. We need to take serious about this matter. Just follow here you will get some idea about final year projects. I hope you have selected best topic for your final year project. If you want to know more about particular topic you can find out very easily because there are so many website where you can get free projects for ECE, Free Mini projects, Free final year projects etc.